Saakashvili’s triumphant return to Ukraine last Sunday made for big news and opened a new chapter in the ongoing political turmoil in the country. Shortly upon arrival, Saakashvili announced his will to unite Ukrainian opposition and take power back from the diktat of oligarchs. However, his plans may prove to be difficult to realize. The ongoing criminal investigation into his abuse of power while still president of Georgia puts his political future under question, especially as the alliance between Petro Poroshenko and Bidzina Ivanishvili remains determined. 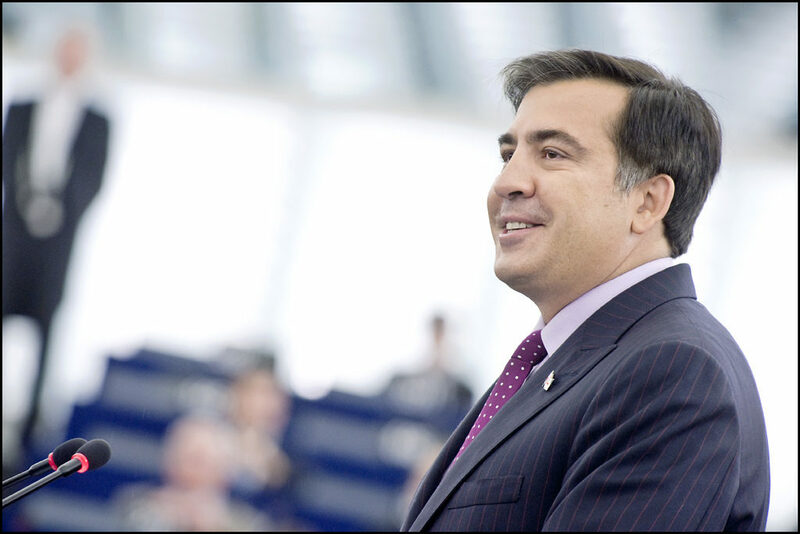 Therefore, Saakashvili’s Ukrainian aspirations remain unclear and his political strategy hard to follow. If one thing is certain, though, is that contrary to his glorious moments after the Rose Revolution, nowadays Saakashvili’s political repertoire includes more destructive tools than ever in the past. The first issue that appears crucial is the allegation of possible Poroshenko and Ivanishvili links. Saakashvili, in his typical jovial and authoritative style, assured that ongoing proceedings against him are mainly due to the close business ties of Poroshenko and Ivanishvili and their personal links to Gazprom. It is hard to determine whether those allegations have any serious foundations, nevertheless, they bring new arguments into the hands of the political opponents of both Poroshenko and the Georgian Dream, especially when collated with the suspicious ties between GM decision makers and Gazprom officials. It is not a secret that for many years Ivanishvili owned about one per cent of Gazprom shares. He claims he sold them along with the other Russia-based assets that he possessed while entering Georgian politics. Saakashvili’s struggle is mostly personal clash with his political foes, combined with his pose as the “leading Anti-Russian reformer of the post-Soviet space”. Thus, the accusations against Poroshenko and Ivanishvili should be viewed against the background of the meetings (initially secret) of Gazprom CEO Alexei Miller and Bidzina’s first man, former Minister of Energy Kakha Kaladze. At the end of 2015, information about the newly negotiated Georgian deal with Gazprom had been revealed, causing shock and fury even among the government’s supporters. Saakashvili has used the situation to remind everyone who would listen about Ivanishvili’s unproven private shares. Whether Ivanishvili still has interests with Gazprom or not, these secret negotiations have disgusted and enraged the Georgian public and civil society activists. Furthermore, in July, Saakashvili took the floor and openly linked Gazprom, Ivanishvili and Petro Poroshenko, seeing his citizenship being revoked the very next day. 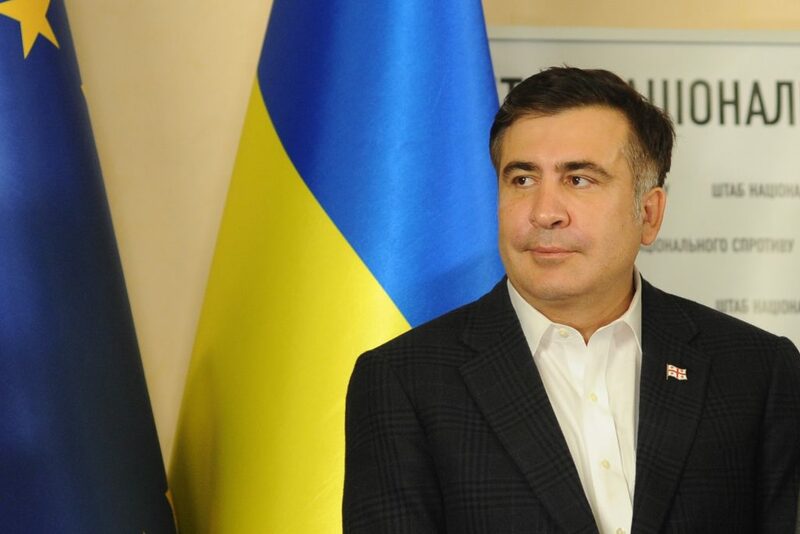 Now – again – while being observed by the international public in the middle of political turmoil, Saakashvili accused the Ukrainian president of using politics to achieve his business goals, just as when he was governor of the Odesa region. It may appear to be a private obsession of the former Georgian president combined with an unstoppable will for political revenge, but the uncertainty still stands strong. It is clear that all his allegations serve political ends, but they also give rise to speculations and informational chaos. When Saakashvili links both Poroshenko and Ivanishvili with Gazprom, he builds his position as a Kremlin arch-enemy, which in societies strongly driven by anti-Russian sentiments is always an effective strategy. In his political struggle, Saakashvili mentioned many times that his first goal in both Georgia and Ukraine is to fight against oligarchs and the oligarchisation of politics and social life. At the same time among Saakashvili’s supporters, and a possible allies against Poroshenko’s regime, are Yulia Tymoshenko – an oligarch and populist with little trust among most of Ukrainians- and Andrij Sadovyi, mayor of Lviv and leader of the Self Reliance party, who can barely count on support in any region besides those in the far west. It also should not be forgotten that Ivanishvili stands against Saakashvili after years of supporting his political reforms. That clearly makes Saakashvili’s statements about his permanent and vital struggle against the oligarchisation of politics in both countries considerably ambiguous. Thus, it is hard to not agree with most Ukrainian analysts, who argue that Saakashvili does not have sufficient resources to create a political movement capable of threatening the president and his associates. However, the possibility should not be discounted. On September 13th Denys Chernyshov, Ukraine’s deputy justice minister, announced that Ukraine cannot take Georgia’s application for Saakashvili’s extradition into consideration. It means that at least for now, Saakashvili will avoid his trial in Georgia. It is this sudden response of a highly-ranked Ukrainian official that goes against the previous statements of Poroshenko and Prime Minister Volodymyr Hroisman. Oddly enough, Chernyshov’s declaration appeared almost at the same time as the statement of US Special Representative for Ukraine, Paul Volker, who said that Saakashvili has the right to review his case in court because Ukraine “is a country where rule of law reigns”. It appears that no one, maybe except Georgian Dream officials, is interested in Saakashvili’s imprisonment despite his misdemeanours (in Ukraine) and felonies (in Georgia). An overreacting, sincere, egocentric, controversial, show-off politician like Saakashvili can always be easily adopted as a symbolical antagonist for both Poroshenko and Ivanishvili. Saakashvili is also the most famous and recognised political reformer in the post-Soviet hemisphere, still boasting significant support in the United States. His total political disposal on the basis of indistinct allegations could be considered by the West as an emblematic failure of Ukraine’s and Georgia’s paths to democratisation. It seems that this is his last possible option, keeping in mind that allegations in Georgia are much more solemn than those he faces in Ukraine. In Georgia, Saakashvili is accused of abuse of power (due to the murder of Sandro Girgvliani in 2006), exceeding official authorities (due to 2007 anti-government protests case and 2005 attack on Valeri Gelashvili) and misspending and overuse of funds (due to the Special State Protection Service case). Even though Saakashvili claims his innocence, adding that Interpol and international public opinion do not take those allegations seriously, he must face them one day. This seems especially true given that, in contrast to what he says, a significant quantity of Georgian citizens share the opinion that he is guilty of an abuse of power. Even if Saakashvili fails in Ukraine with his attempts to unite the opposition, it may buy him time to prepare the ground for his return to Georgia. 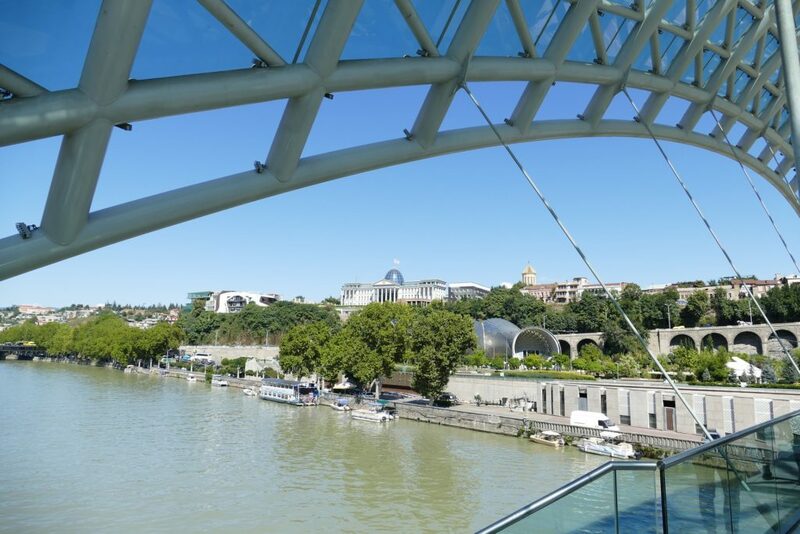 He may have been aware of this, given there is no possibility that he does not know that under Ukrainian law he cannot participate in the next parliamentary and presidential elections because he does not yet meet Ukrainian residence requirements. A return to Georgia, therefore, appears as the last chance to remain in high politics. But this task will not be easy, given internal political struggles in Georgia. Probably, for now, Saakashvili noticed a lack of resources and unity, especially after the split in the United National Movement (UNM) and great losses in parliamentary election. Nevertheless, more than a quarter of Georgian voters trusted Saakashvili’s party in the last election, bearing in mind his presence as a leader in contrast with the less charismatic politicians who came after him. At the same time, Saakashvili along with Ivanishvili tops the ranks of least trusted politicians. The problem with Saakashvili’s return to Georgia lies in the divisions that emerged within the opposition. Shortly after the 2016 electoral defeat, some United National Movement leaders criticised Saakashvili’s involvement in the campaign, blamed him for the defeat and the party’s dismantling, while others stand strongly behind him. While attempts were made to create a new political party which could challenge the current government without Saakashvili’s blurry past, they have so far failed, as did Irakli Alasania in 2015. It seems that the opposition stays in a bind. On the one hand, Saakashvili’s participation is truly unwanted, on the other, without him they are not able to build any judicious and reasonable answer to the Georgian Dream. The odd “Saakashvili’s show”, we are currently observing, should not be considered as a serious political struggle. In Ukraine, most probably his fight will be over soon. In Georgia, he has the potential to return, especially if the Georgian Dream fails to address the effects of the economic crisis and stagnation. On the other hand, however, few believe that he is capable of returning to power. But this is Misha – the guy who has proven he can do the impossible, including breaking through a military cordon on the border crossing and initiating the war with Russia. The show is thus far from over. Bartłomiej Krzysztan is a PhD candidate at the University of Wrocław. His research interests include cultural memory and identity in the post-Soviet space and politics in the South Caucasus.